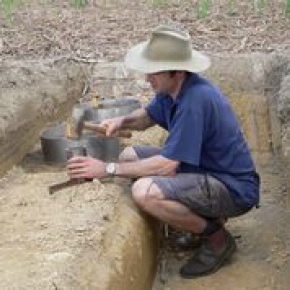 James Cook University’s Associate Professor Paul Nelson said the Chinese Academy of Sciences sought out the Australian researchers because of work they had done in Australia and Papua New Guinea on the relationship between soil pH levels and the management practices that cause acidification. Dr Nelson said soil degradation is a critical problem confronting humanity, particularly in parts of the world such as the tropics where land use pressure is increasing and the climate is changing. “We can now quantify the effect of, for instance, shutting down a factory that contributes to the production of acid rain,” he said. Dr Nelson said the research found different drivers of soil acidification processes in different types of soil across northern China. “This information is vital for designing strategies that prevent or reverse soil acidification and to help land managers tailor their practices to maintain or improve soil quality,” he said. The study has been published in the journal, Biogeosciences. Please credit Paul Nelson or as marked.